An account of why The Man Who Would Be Queen was deemed transphobic and removed from nomination for an LGBT book award. Bailey: "Homosexuality is evolutionarily maladaptive"
Lambda Literary Foundation (LLF), a non-profit "dedicated to the recognition and promotion of gay, bisexual, lesbian, and transgender writing," (LLF 2003), announced on 2 February 2004 that The Man Who Would Be Queen by J. Michael Bailey had been chosen by their finalist committee as a nominee for an award in the transgender/genderqueer category (LLF 2004a). In 2005, LLF accepted Marks' resignation in June (Smith 2005) and closed their website in September, removing all materials about the controversy in the process (LLF 2005a). LLF eventually opened a new site at a new web address that makes no mention of the debacle (LLF 2005b). As soon as the announcement was made, criticism of the nomination was immediate (Grubb 2004). Jim Marks publishes an open letter announcing that LLF is revisiting the nomination. A petition protesting the decision garnered over a thousand signatures in its first few days, eventually reaching about 1,500 total. (Burns 2004). Under mounting pressure, the selection committee looked at what the book was really saying, and they withdrew the nomination (see full text below). Below is an announcement that we are posting on our web site today. I would like to thank everyone for their comments and e-mails. We welcome additional comments or discussion, although our limited staff and resources preclude answering everyone personally. The Lambda Literary Foundation announced that "The Man Who Would Be Queen" has been removed as a 16th Annual Lambda Literary Award finalist. The change was prompted by a request from the panel of judges that is reading all the finalists in the transgender category, which said the book was not appropriate for the category. The Foundation does not identify the judges to the public or each other until the Awards banquet, which this year will be held June 3, in Chicago, IL. Upon receiving the request, executive director Jim Marks went back to the Finalist Committee, which had selected the book originally. A majority of the committee agreed to honor the request. Because the action was unprecedented, it provoked heated discussion within the Finalist Committee. Finalist Committee member Kris Kleindienst said, "Removing the book from the list is not censorship. The book is widely available, has been widely reviewed and is not about to be denied to the public. What we are doing is behaving in a responsible manner to make sure the list of finalists is compatible with the Foundations mission. Having looked at the book closely, I am sure it is not." Several committee members echoed Kleindiensts views. Finalist Committee member Victoria Brownworth, along with several others, disagreed on the censorship issue. "Banning a book and censoring a book are two different things. While I hate to be the titular voice of the ACLU here, especially since I personally disagree with many aspects of Bailey's book, if we take the book off the list we are indeed censoring it. It doesn't matter what our reasons are." "This has been a difficult and humbling experience for the Foundation," said Executive Director Jim Marks. "Weve never before had a case in which a book, whose author and publisher both affirm their support for gay, lesbian, bisexual and transsexual rights, has at the same time been opposed by those who say its content in fact is antithetical to those rights." "Throughout the controversy that has raged over the books selection as a finalist, we have struggled to maintain the integrity of the process." Marks said. "Since the impetus for the change came from the within the categorys judges, and was reviewed and voted on by the Finalist Committee, we feel that the decision is consistent with our process." The recipients of the 16th Lambda Literary Awards will be announced at a gala banquet to be held June 3, 2004 at the Chicago Mart Plaza Hotel. Tickets are $125 for the dinner, $175 for the dinner and gala reception, with discounts for tickets purchased before March 31, 2004. Below are the names of the key official and the 2003 selection committee who nominated Bailey for a Lambda Literary Foundation award, then reaffirmed the decision before finally withdrawing the nomination. In fact, there were members of the selection committee who were not involved at all in the selection of the transgender titles, and it is my understanding that both Jane Troxell and Robert Starner were among those. They didn't choose the book because they were never asked to consider it. The task of choosing 5 titles in something like 17 categories is a huge one; the only way it is accomplished is to have the selection committee divide up the categories with each category being delegated to a subset of the committee. I believe this has been true every year that the Lammys have been awarded. The incident brought to light several flaws in the selection process used by Lambda (Nangeroni 2004b). The entire process is in the service of commerce, much like the same problem with the review process at Amazon.com. Books are nominated by the publishers and chosen by a group of booksellers in a symbiotic marketing relationship. Books are chosen more by buzz than by literary merit, which works to the benefit of a book like Bailey's which uses controversy as a marketing tool. Jennifer Finney Boylan, the eventual 2003 Lambda Literary Award winner in the trans category, was not even notified of her nomination, suggesting that the process is not about the awards and authors but about the sales. It also came out that the committees involved in the decision had no representation from the transgender community, which explains how they were unaware that the vast majority of the community found the book defamatory and irresponsible. In June 2005, Marks was ousted as Executive Director, a position he'd held almost continuously since 1996. On 7 June, a majority of Lambda Literary Foundation Board of Trustees voted to accept the resignation. Jim Duggins, retired academic who lives in Palm Springs, Calif.
LLF also sold their building on 16 June and suspended publication of the James White Review and the Lambda Book Report. Founder Deacon Maccubbin noted "issues were skipped or late getting on newsstands," which "hurt its credibility." Trustee Katherine Forrest said "Both of the publications have been operating chronically in the red, really, since they left the umbrella of the Lambda Rising bookstore. We’re talking about nine or 10 years that it’s just been sputtering along.” Forrest said there has been an “ongoing, chronic problem” with the Lambda Book Report’s ability to publish in a timely manner. It was supposed to be available monthly, but often was late coming out (Smith 2005). Marks has since claimed his resignation had nothing to do with the financial difficulties cited by LLF's founder and trustees, nor anything to do with the mishandling of the Bailey fiasco (Marks 2006). Their lambdalit.org website went offline after the announcement, eventually reappearing in 2006 as a text-only site consisting of three pages. A new site at lambdaliterary.org went live at the end of 2005, announcing "Welcome to the New Lambda Literary Foundation." Any mention of the Bailey debacle was gone from the new site. In 2006, LLF emerged from the disorganization and lack of standards that led to the 2004 Bailey incident. In January, new LLF Executive Director Charles Flowers initiated a complete overhaul of Lambda's process. Mr. Carey failed to disclose that the Foundation later withdrew the award nomination in response to our judges’ assessment of the book, which they ultimately considered transphobic and inappropriate for a Lambda Literary award. Further, the Bailey incident revealed flaws in our awards nomination process, which I have completely overhauled since becoming the foundation’s executive director in January 2006. Any book with LGBT content may be nominated by its publisher or its author, but the selection of the book as a finalist for an award is in the hands of the category’s judges. Trans writers now serve as judges in our awards process (both in the Transgender category as well as other categories), so that a book such as Bailey’s could be nominated for an award by the author/publisher but not selected as a finalist or recipient by the judges. 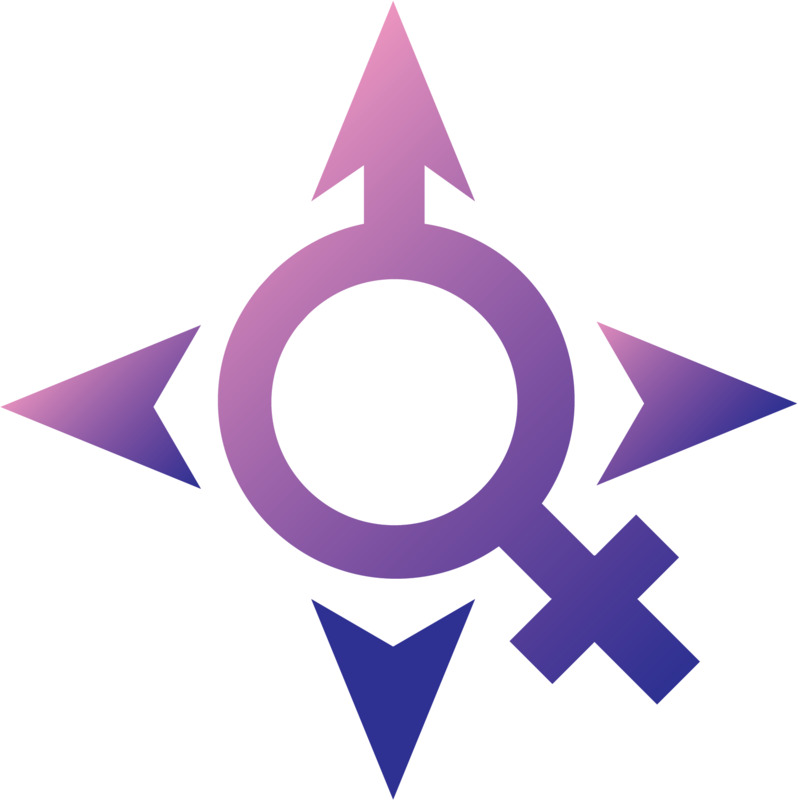 In addition, we have expanded many of our categories by dropping the “gay” and “lesbian” designation, in favor of “men’s” and “women’s,” to better represent and embrace the literature of bisexual and transgender writers. Our judges spoke for the foundation in 2004 when they withdrew Bailey’s book from consideration of a Lambda Literary Award, and the foundation’s position remains the same. With the help of the transgender community, we have improved the integrity of our awards, by making them more inclusive and our methods more transparent. It's likely that Bailey and his allies will continue to omit inconvenient facts about the LLF revocation, as part of their pattern of distorting science and history in service of personal agendas. Though this matter is considered resolved by all but Bailey's most partisan supporters, this page will remain in place to counter their attempts at revising history. Burns C and ~ 1,500 signatories (2004). J Michael Bailey Book Petition. Carey B (2007). Criticism of a Gender Theory and a Scientist Under Siege. New York Times, 21 August. Chesnut S (2003). Report on a J. Michael Bailey Lecture at Emory University, 8 April. Conway L (2005). The gay and lesbian "Lambda Literary Foundation" disses all transsexual women by nominating Bailey's book for a GLB'T' literary award. lynnconway.com, revision dated 19 July. Flowers C (2007). Letter to New York Times. 20 September. Grubb RJ (2004). Lambda Literary awards come under fire: Organization criticized for controversial book finalist. Bay Windows, 12 February. Lambda Literary Foundation (2003). LLF website logo and tagline. Retrieved 24 December 2003. Lambda Literary Foundation (2004a). 16th Annual Lambda Literary Award Finalists. 2 February. Lambda Literary Foundation (2004b) Man Who Would Be Queen to Remain on Lambda Literary Awards Finalists List. 24 February. Lambda Literary Foundation (2004c) Man Who Would Be Queen Announcement. 12 March. Lambda Literary Foundation (2005b) Welcome to the New Lambda Literary Foundation. Note: former website http://www.lambdalit.org went offline at the time they closed publications and sold their building, eventually reappearing in 2006 as a text-only site consisting of three pages. Letellier P (2004a). Group rescinds honor for disputed book. Gay.com / PlanetOut.com Network, 16 March. Letellier P (2004b). Gay? Trans? Whatever. The Advocate, 27 April. Maccubbin D (2004). Letter to Andrea James. 15 March. Marks J (2004). 16th Annual Lambda Literary Awards Finalists named. Press release dated 2 February. Marks J (2006). Letter to Alice Dreger. 22 July. Nangeroni N, MacKenzie G (2004a). Jim Marks discusses the LLF nomination. GenderTalk, 9 February. See also transcript excerpts. Nangeroni N, MacKenzie G (2004b). Jim Marks discusses the LLF nomination withdrawal. GenderTalk, 15 March. See also transcript excerpts. Scanlon K (2004). Lost in trans-lation: Nomination revoked / How a book award went so wrong. Xtra!, 15 April. Schwartz N (2005). Lambda Literary Foundation Announces Major Changes. Bookselling This Week, 16 June. Seely C (2004). Gay awards shun trans book: Critics say author propagated stereotypes. Southern Voice, 9 April. Smith R (2005). Lambda Literary loses leader, closes publication. New York Blade, 17 June. Troxell J (2004). Letter to Andrea James. 19 March.